In one bargain signing, the Knicks found a replacement for the departed Landry Fields, a substitute for the injured Iman Shumpert and a challenger for starter J.R. Smith. 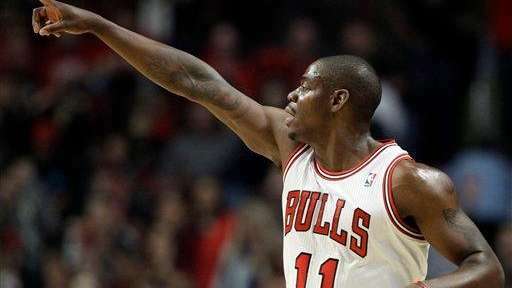 Shooting guard Ronnie Brewer and the Knicks agreed on a one-year deal Tuesday, his agent, Henry Thomas, said. 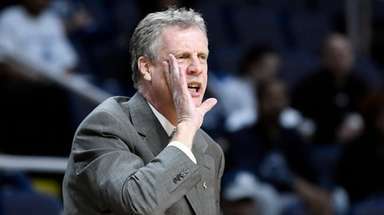 Brewer will make the veteran's minimum of about $1 million, which is the maximum the capped-out Knicks could offer free agents. The 27-year-old, who was drafted 14th overall by the Jazz in 2006, has averaged 9.0 points and 3.1 rebounds in his six-year career. Brewer, who averaged 6.9 points for the Bulls last season, was waived earlier after Chicago declined to pick up his $4.37-million team option for the 2012-2013 season. The Knicks were in need of backcourt help after opting not to match the three-year, $20-million offer sheet Fields signed with the Raptors. Shumpert, who might have started if healthy, is recovering from ACL surgery and is likely out until at least January. That left Smith atop the Knicks' depth chart at shooting guard. The acquisition of Brewer should create competition for that spot. Brewer on Twitter Tuesday thanked the Bulls organization and fans before acknowledging his new team. Around noon he tweeted, "New York Knicks Lets get it!!!" Notes & quotes: The Knicks also signed 35-year-old point guard Pablo Prigioni to a minimum contract of around $473,000. Prigioni, who is playing for Argentina in the Olympics, provides depth behind Raymond Felton and Jason Kidd. Once Brewer officially signs, the Knicks will have 13 players with guaranteed contracts. Chris Copeland is signed to a non-guaranteed contract.